While my kids were all at home, I was pretty involved with their youth group activities plus working. Love to travel and spend time outdoors! For the past 5 or so years have been very busy with a prison ministry called Kairos which I love. Future? Just taking it one day at a time to see what God has in store next!! Crazy crazy times with Judy! Being locked in the school building in 9th grade. They KNEW we were gonna walk out!! When the janitor unlocked the doors to come in....everybody ran for it! Then...because we were all on probation for that...getting suspended 3 days just before Thanksgiving. But it was for a good cause!!!!! Diana Parnell Statzula has a birthday today. Diana Parnell Statzula posted a message. I am so excited to see you all!!! 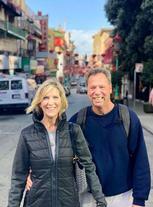 Diana Parnell Statzula updated profile. View. Diana Parnell Statzula added a photo to profile gallery. Diana Parnell Statzula added a photo to profile gallery. New comment added. Diana Parnell Statzula changed profile picture. 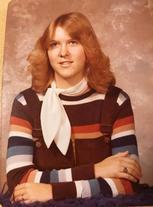 Diana Parnell Statzula changed "Now" picture. 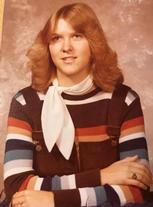 Diana Parnell Statzula changed "Then" picture.